A lens flare is the result of light scattering within the camera’s lens. The flare can present itself as haze or as a pattern of artifacts. Here, you can add this artifact to add greater depth and dimension to the image. 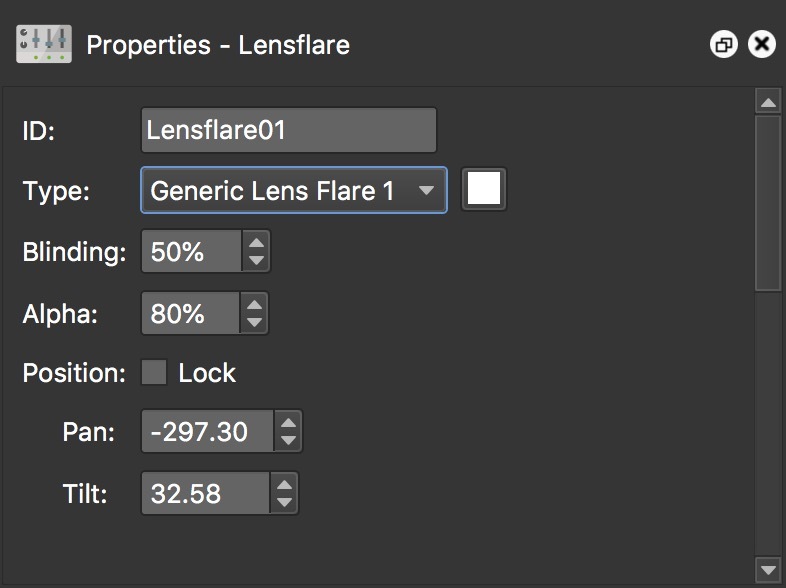 ID – The ID of the Lens Flare which can be used in the Skin Editor. For the Generic Lens Flares, a color picker will appear. You can then adjust the flare’s tint. Blinding – How bright the panorama becomes when the viewer is looking towards the light source. Alpha – Adjusts the flare’s opacity. 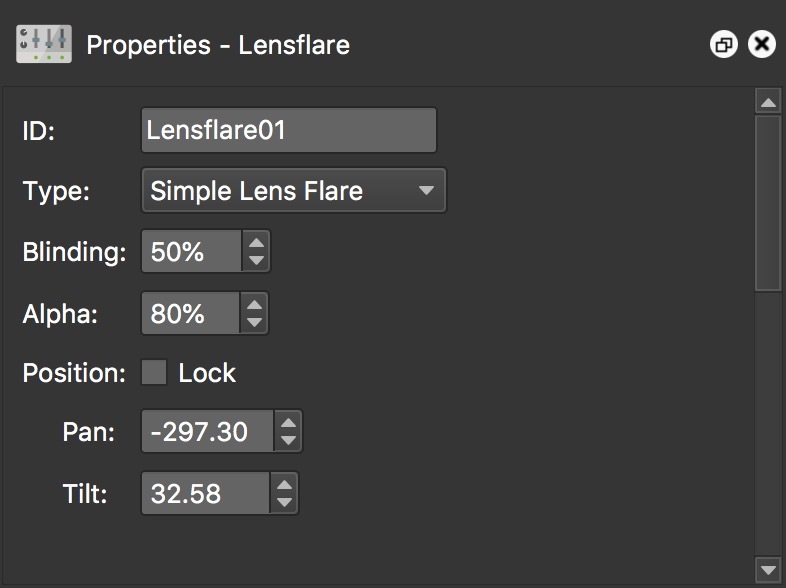 Position – Select Lock to lock the lens flare’s position in place. Pan – Adjusts the flare’s location horizontally. Tilt – Adjusts the flare’s location vertically. To move the Lens Flare manually, just drag it in the Viewer.